What is Razer Synapse 2.0? 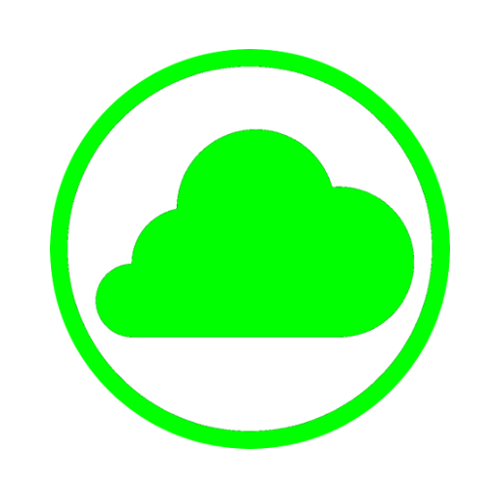 Razer Synapse 2.0 is our cloud-based unified configuration software that allows you to rebind controls or assign macros to any of your Razer hardware and saves all your settings automatically to the cloud. Which devices are supported by Razer Synapse 2.0? All Razer systems and most Razer USB peripherals shipping today are Razer Synapse 2.0 compatible. To verify if a particular device is Synapse 2.0 compatible, please look for the Synapse 2.0 icon on product boxes or check the official compatibility list here for PC and here for Mac OSX. I downloaded Razer Synapse 2.0 and created an account, but I can’t log in. Please activate your account by clicking on the verification link in the e-mail that was sent to your registered e-mail address. You should be able to log in once your e-mail address has been verified. If you are still having problems logging in, please contact our support team at www.razersupport.com/contact-us. When I try to login to Synapse 2.0, I get a "Network Not Available" error or "Error 3802", what is the problem? This issue is typically due to something blocking Synapse 2.0 from communicating with our login servers. Please check the following if you having this issue. If you have a firewall installed, please make an exception in the firewall to allow Synapse 2.0 to communicate. Some school/work networks can block our software from communicating and you would need to contact your local system administrator to allow the communication. A VPN or Proxy setup on your computer can also cause this type of error. If you have check the above and are still getting the same error, it would be best to try and narrow down where the actual problem is occurring. If possible you may want to try another internet connection and/or another computer to see if you are having the same issues. Synapse 2.0 cannot update with error message prompt “Unable to Update: We are unable to update your software. Please check if your internet is connected, then click TRY AGAIN”. Razer is currently working with Trend Micro on the whitelisting for Asus Router. Meanwhile, please disable the “Malicious Sites Blocking” setting by following the steps below. Open a web browser and launch the Asus Router’s Administration page. The URL for the Administration page is usually http://router.asus.com. Login with your Admin name and password credentials. Click on the “AiProtection” link and the “General” sidebar to launch AiProtection page. Click on the “Network Protection” link. At the “Malicious Sites Blocking” option, click on the On / Off slider to toggle to “Off” state. Wait for the router to complete loading to ready state. Click on the “TRY AGAIN” button on the “Unable to Update” pop-up error to complete the installation. Once the Synapse 2.0 installation / update completes, go back to the Asus Router’s AiProtection – Network Protection and revert the “Malicious Sites Blocking” option back to “On” state. While trying to upgrade to Windows 10, I saw Razer Wizard installer pop-up. If you encounter this, please close the installer wizard and complete your OS upgrade first. We recommend reinstalling Synapse 2.0 using the link from our website after any upgrade to Windows 10. Are there any special requirements to install Razer Synapse 2.0? Razer Synapse 2.0 requires "Microsoft .NET Framework 4" to be installed. In preparation for Razer Synapse 2.0, users are encouraged to download and install the "Microsoft .NET Framework 4" through the Microsoft Support Site. This operation may take more than ten(10) minutes, depending on your internet connection. How is Razer Synapse 2.0 an evolution of onboard memory? Although Razer Synapse 2.0 and an onboard memory both serve the same purpose (which is to provide a storage solution for user settings), Razer Synapse 2.0 is not limited by storage capacity the same way onboard memory is. Unlike an onboard memory which has a physical limitation, Razer Synapse 2.0 is able to save its settings to the cloud and provides virtually unlimited space for users. And because Razer Synapse 2.0 is cloud-based, it’s a lot easier to transfer user settings from an old device to a new device whenever you upgrade. Does Razer Synapse 2.0 require an internet connection to function? Razer Synapse 2.0 only requires an internet connection for initial setup and installation of the latest drivers; online and offline modes are optional. In online mode, Razer Synapse 2.0 will save and sync user settings to the cloud in real time whenever there is an active internet connection. In offline mode, user settings are stored on the computer. Switching from offline to online mode will automatically save and sync user settings to the cloud; providing a seamless user experience. I have comments and suggestions that might be helpful to Synapse 2.0, how do I contact Razer? / How can I submit bug reports or feature requests for Synapse 2.0? Synapse 2.0 has a built-in feedback system. Please click on the “gear” icon on the top right corner of the configuration window and click the “Submit Feedback” button to access it. Here, you can choose the Razer product related to your feedback, your feedback type, and even include log files when reporting bugs. Where can I find the user manual in Synapse 2.0? User Manuals can be found in Razer Synapse 2.0 by going to settings ("gear" icon on the top right) and selecting the relevant guide from "View Master Guide" dropdown and clicking the "View" button next to the list. If you want to access the user guide for a Razer product that has not yet been installed on your PC (or a Razer product that is not compatible with Razer Synapse 2.0), please visit www.razersupport.com and navigate to the product’s page to download its master guide. Please visit https://ec.razerzone.com/requestreset. You’ll need to enter your e-mail address and successfully complete the image verification to prevent abuse. An e-mail will be sent to your e-mail address with instructions to reset your password. How can I change the email address I have associated with Synapse 2.0? Unfortunately, the e-mail address associated with your Razer ID cannot be changed at this time. However, you can create another Razer ID using a new e-mail address if needed and then use the import/export functionality on Razer Synapse 2.0 to transfer all user profiles, settings, and macros to your new account. Will my Razer products require Razer Synapse 2.0 to function? All Razer products function as plug and play devices. Razer Synapse 2.0 offers a service above and beyond basic functionality to enhance your Razer product's capabilities. This includes features like configuring, managing, and cloud-syncing device settings. Razer Synapse 2.0 also keeps your devices in optimal condition by automatically updating and downloading driver and firmware updates, as they become available. Razer Synapse 2.0 is not a compulsory software for your Razer peripherals to work - but it is advisable to use Razer Synapse 2.0 if you want to unlock your Razer peripheral’s full potential. How much does it cost to use the Razer Synapse 2.0 cloud service? Absolutely nothing. Razer Synapse 2.0 is a core software that supports all Razer peripherals, so it is instantly yours as soon as you purchase a next-generation Razer product. If you're interested in using Razer Synapse 2.0 with your current Razer peripherals, please check out the current product compatibility list here for PC and here for Mac OSX to see if your device is Synapse 2.0 enabled. Does Razer Synapse 2.0 track any data on my system? Razer Synapse 2.0 tracks vital system information like Operation System version, Razer device data (hardware and firmware revision), region settings, etc. This helps us maintain and support all current and legacy devices on all relevant platforms. This data is also utilized to improve our future software and hardware products. If you opt-in to Stats & Heatmaps, the gameplay data tracked by that application is also gathered. Can I set Razer Synapse 2.0 to switch to a default profile after exiting a game? Yes, you can. Synapse 2.0 will revert to the last profile used BEFORE you launched your game, upon exiting the game. You can set a “default” profile to ensure it was manually selected before launching any other linked applications. If I have more than one of the same Razer device, can Razer Synapse 2.0 configure all of them at the same time? How do I use the Razer Synapse 2.0 WoW Add-On Feature? To use this feature, you must first sign into World of Warcraft to let Razer Synapse 2.0 identify your account name; then select the check box to activate the Razer Naga Add On feature and identify the game's executable file. If you experience any issues with the Add On, you can check for the latest updates at https://mods.curse.com/addons/wow/razernaga and https://mods.curse.com/addons/wow/razer-orbweaver-add. How does Razer Synapse 2.0 change the way I configure my Razer devices? Razer Synapse 2.0 was designed to unify your interaction with all your Razer devices on one single platform. Using Razer Synapse 2.0 means you can access and configure all settings on all your Razer devices with just one application. It also means you never have to manually download and update drivers for each individual Razer product as Synapse 2.0 will automatically keep the drivers for all your Razer devices updated. Synapse 2.0 also syncs all your device profiles and settings to the cloud, so that you won’t have to manually configure them again when you use them on a different PC. Can I configure one of my Razer devices to control my other Razer device? Yes. Razer Synapse 2.0 enables full inter-device communication, which means you can use one Razer device to change profiles, sensitivity or behavior of other connected Razer devices. To enable this functionality, please select a key or a button to remap and select the Inter-Device option in the “Key assignment” or “Button Assignment” pop-up menu. The list of all connected Razer devices and possible inter-device functions is available on this page. How can I transfer my macros and profiles to another account? Start Razer Synapse 2.0 and log into the account where the macros and profiles currently reside. Navigate to the “Customize” tab for the device and click the additional options button (“3 dots” icon below profile selection list). Select the “Export” option and choose all the profiles and macros you want to export for the product. Click the “Export” button and save the export file using a name and directory of your choice. Start Razer Synapse 2.0 and log into the account where you want to copy the profiles and macros. Navigate to the “Customize” tab for the device and click the additional options button (“3 dots” icon below profile selection list). Select the “Import” option and navigate to the file that was saved on step 3 and click the “Open” button. Your imported profiles and macros are now available on your destination account. Please note that the import function does NOT overwrite any existing profiles on the destination account, it simply adds new profiles to the profile list. If you encounter any issues while exporting profiles and macros after following the steps listed above, please contact our support team at www.razersupport.com/contact-us. How can I use On-The-Fly (OTF) Macro Recording functionality? Identify if your device supports OTF macro recording and locate the macro record combination for it (typically Fn + F9). Press the macro record key combination to start recording. The Macro Recording Indicator light on the keyboard will light up to show that the device is ready to record. Type in the keys you want to record. Press the “macro record” key combination again to stop the recording or the ESC key to cancel recording. The Macro Recording Indicator will start to blink to show that the device has stopped recording and is ready to save the macro. Press the desired key where you want to save your macro. Please note that On-the-Fly Macro Recording requires Razer Synapse 2.0 to be installed and running on the background. Will there be support for other legacy products? The Razer Synapse 2.0 architecture is capable of enabling backwards compatibility with Razer legacy products. Do you have a legacy product that you want supported? Let us know at www.razersupport.com/contact-us. Does Razer Synapse 2.0 require users to log in every time in order to configure their settings? Yes, but you can simply bypass this if you select "stay logged in" on the login screen. The next time Razer Synapse 2.0 boots up, it'll keep you logged in and won't prompt the sign-in dialog. Can I synchronize the lighting settings on my Chroma products? Yes, if you own two or more Razer Chroma products, you can synchronize their lighting. Simply press the circular “sync” button under the lighting dropdown for any of your Chroma devices. I registered my product; do I still need to keep my proof-of-purchase? Registering your Razer products for warranty helps you keep track of warranty for all your Razer products in a single location. However, in case you need to make a warranty claim to return/exchange the product, you will still be required to produce a proof-of-purchase. In some regions, Razer may offer warranty services even without a proof-of-purchase based on the date of purchase. What are the benefits of registering my product via Synapse 2.0? By registering the product via Synapse 2.0, you get a hassle-free way to keep track of the remaining warranty durations for all your Razer devices. Registering via Synapse 2.0 also allows the customer support team to provide the best possible solution to any difficulties, and in some regions, allows a paperless warranty. Can I register a product that’s not Synapse 2.0 enabled? Yes. You can use Razer Synapse 2.0 to register devices even if they are not Synapse 2.0 enabled (e.g. gear, earphones, and mouse mats). To register a new product, please go to the “Warranty Status” page beside your e-mail address located on top of the Razer Synapse 2.0 window and select the corresponding option. Select “Add Device” in the popup window, select the product type from the dropdown list, and follow the on-screen instructions to register the product. How can I enable or disable Chroma integration with my games? To switch our Chroma integration on and off, navigate to the Chroma Apps tab in Synapse 2.0 and toggle the “Chroma Apps” option. You can verify which games and applications are connected to Chroma Apps by viewing the Apps List in Synapse 2.0. When I launch a game, my Chroma devices display different effects than I had previously set. You may be experiencing one of our official Chroma integrations in your game. You can check out the Chroma Workshop for more information on supported games, and tier included effects here If you do not wish to experience these effect and would rather use your personal settings, simply navigate to the Chroma Apps tab in Synapse 2.0 and disable the “Chroma Apps” setting. Are Chroma Apps just for games? No, there is actually a wide variety of other applications and preset lighting profiles available for use at Razer Chroma Workshop and you can even submit your own creations! I need help or have feedback for one of the Chroma Apps. The apps and profiles you can find on the Razer Chroma Workshop are not developed by Razer. These are designed by third parties and we are only able to provide limited feedback and support for these applications. You may consider contacting the game or application’s developer directly with your feedback. I’m a developer and would like to add Chroma integration to my game or application. More information about the Chroma SDK can be found at Razer Chroma Developer Portal.